Encuentra asistencia y herramientas específicas para tu HTC Desire 526 en Internet. Learn how to make an HD Voice call for a clearer, more natural sound using your HTC Desire 526. See how to make a video call to a contact with HD Voice using your HTC Desire 526. 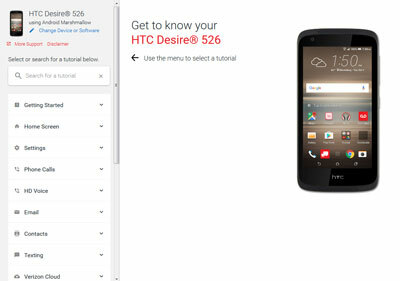 An interactive guide on how to turn VoLTE Call on and off using your HTC Desire 526.